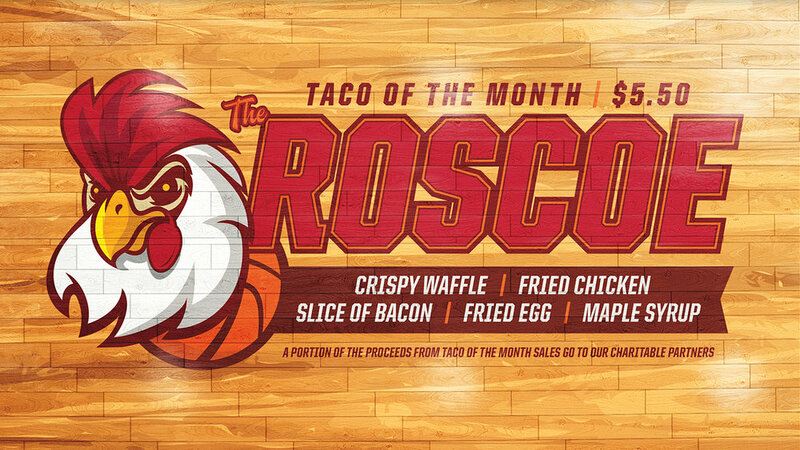 I recently created a basketball-themed concept for Torchy’s March Taco of the Month, The Roscoe. The taco is a fan favorite of the fast casual brand’s guests, so we wanted to do something with a big feel. I designed a chicken team mascot, and other graphics for social media that center around the five ingredients in the taco big the “starting five”. To coincide with the campaign, we also created a taco bracket challenge that allowed fans on social media to vote for a winner that will be a taco of the month offering later this year. It’s the first time Torchy’s has ever offered fans a voice in the conversation of selecting menu item offerings.